As you are aware, the Evers Road low water crossing at Huebner Creek has been removed and our contractor, the J3 Company, has been tasked with building a new bridge type structure. Last week, the utility subcontractor, Badeco, installed new gas mains along the bottom of the creek. That work has been completed and now our contractor is able to start on the rest of the utilities. Beginning Monday, April 2, 2018, they will work to relocate water and sewer mains, which will take about two weeks. Once these remaining utilities have been moved, the exciting work begins, with the construction of the 10’ x 6’ concrete box culverts. J3 Company will work on several Saturdays to try and regain days lost, due to the creek flooding the construction site. With Easter coming up this weekend, we want to remind our citizens and guests that the construction site is just that – an active construction site. We ask that persons using the park or our library do not cross Evers Road inside the construction zone. There are several deep pits that are fenced off, but the pits are open and will remain open for the next two weeks. This is a dangerous area for children as well as adults. The expected completion date of the project is July 6th, but with being allowed to work on Saturdays, the contractor is hoping they can get Evers Road opened to traffic before the July 4th holiday. Stay tuned for more updates as we progress with this project. 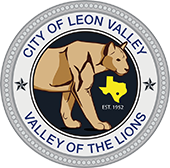 For questions, please contact the Leon Valley Public Works Department at (210) 681-1232 x 201.